The Economic Alliance Houston Port Region was created in 1985 and serves as the economic development corporation for the Houston Ship Channel region with a defined mission to “to market and grow a vibrant regional economy.” It has service contracts with Harris County, the Port of Houston Authority and the 11 cities that surround the Houston Ship Channel. Private members include two regional community colleges, nine chambers of commerce and almost 200 private companies. Economic development efforts are focused in the petrochemical, maritime and logistics industries. From 2008 – 2012, the Economic Alliance supported 38 successful projects that facilitated over 3,600 direct jobs and a capital investment of over $2.6 billion in the Houston Ship Channel Region. Oxiteno USA – a subsidiary of Ultrapar Holdings Inc., one of the largest holding companies in Brazil – who purchased a $15 million plant in the Pasadena Industrial District on Bay Area Blvd. Oxiteno develops chemical inputs that improve or contribute to the quality of products that are used in day-to-day personal care and household cleaning products, garments, agrochemicals and food. The investment is $92 million on 60 acres, in the previous Old World Industries plant. Channel Biorefinery & Terminals, LLC, one of the largest biodiesel facilities in the U.S. is now located on the Houston Ship Channel. The company, which incorporated last year, bought the existing Green Hunter Biofuels facility for an undisclosed amount. That 105 million-gallon-per-year facility was built during 2007 and 2008, but hadn’t been put to work. The facility was almost operational when Hurricane Ike hit the Gulf Coast and flooded the facility. This summer, the new CB&T facility will begin producing 3 million gallons of biodiesel per month. By the end of the year, CB&T expects to have up to 60 workers. It will likely take about two years to get the facility producing to its full capacity, which will be about 75 million gallons a year. This year, the Economic Alliance is busy supporting new capital projects and expansions. So far two projects have come to fruition. 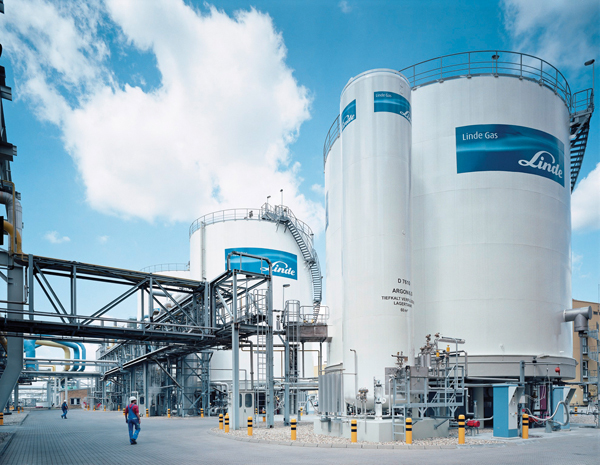 Linde North America which is the American branch of The Linde Group, a Germany-based industrial gases production and engineering company, is expanding its La Porte operations with a $200 million investment. Linde North America currently operates a synthetic gas plant in La Porte. With its new investment, the company will expand its production capacity and will add a new air-separation unit. The air-separation unit will produce oxygen and nitrogen, and a new gasification unit will use natural gas to produce synthetic gas, which is used in chemical production. Linde has already begun construction on the expansion, and it plans for the expansion to come on line in the first quarter of 2015. Celanese Corp., an Irving-based chemical giant, is building a new methanol production plant at its existing chemical plant in Pasadena. The facility will have a capacity of 1.3 million tons per year and is expected to start operations in 2015. Celanese is expanding its operations to take advantage of cheap natural gas prices, resulting mainly from the shale gas boom. Chemical companies such as Celanese can use natural-gas feedstocks from shale formations to produce chemical products. 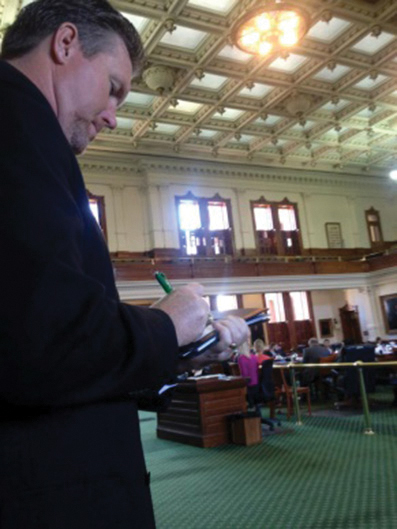 State Relations – Economic Alliance supported the passage of House Bill 5, related to public school accountability, assessment and curriculum requirements for high school graduation, and funding in support of certain curriculum authorized for graduation; providing a criminal penalty. Signed by the Governor earlier this summer, HB 5 provides students with both rigor and relevance that meet their diverse interests and maintains the requirement of four years of math and science, but enables school districts to offer college credit courses, in collaboration with institutions of higher education, to provide a wide range of career and technical curriculum that are rigorous, relevant, and aligned with the state’s diverse workforce needs. Broadening the opportunities for success will encourage more students to stay in school and secure a meaningful high school diploma. We strongly supported HB 5 and feel this legislation is critical to meet the workforce demands of Texas employers and continue to secure strong economic development in our great state. Federal Relations – Economic Alliance had its first organizational visit to Washington, DC June 11-13. This educational visit was very successful with a total of thirteen (13) meetings over a day and a half period. Members met with legislators and staff to discuss issues and opportunities in the Houston port region and how they can help; including expressing our support for the Water Resources Development Act (WRDA) with language providing a fair share of the Water Maintenance Trust Fund dollars to the Houston Ship Channel, passage of the Keystone Pipeline, addressing general road, freight rail and water infrastructure needs, and funding of skilled workforce development projects. Workforce Development News – Did you know the Texas Workforce Commission projects that Texas will have an average of nearly 44,000 job openings, annually, through 2016 for occupations requiring an associate degree or postsecondary vocational certificate? In addition, according to a recent study by the Houston Port Bureau, within the Houston Ship Channel region alone, the petrochemical and manufacturing industry will be investing in capital development and maintenance up to $35 billion. This means 111,700 direct construction jobs and 154,100 induced and indirect jobs will need to be filled. This is a great opportunity for economic growth and prosperity in our region. But, so much growth, so fast, does pose potential problems. Recent evidence points to a shortage of workers for jobs requiring some postsecondary education, but not a bachelor’s degree. Without rapid increases in postsecondary career and technology education (CTE) enrollment, existing worker shortages could worsen. In an effort to bring the major industries along the Houston Ship Channel together with school districts, community colleges, and other workforce development stakeholders to develop a strategic, multilayer plan to meet workforce needs and consolidate resources, Economic Alliance has created a Workforce Development Committee. This Committee is meeting regularly to identify and coordinate regional endeavors to address workforce training and employment needs. If you are interested in participating in this Committee, please contact Marisela Cantu at the Economic Alliance, Marisela@allianceportregion.com.